Where do you think mortgage rates will be by December 31? Should clients lock in a low interest loan? What is the advice you give to your clients? These were my questions to real estate agents and here are their responses. It is important to keep in mind that they are not mortgage providers and the responses are just their personal predictions. Many of them rightfully deferred it to a professional mortgage lender for a more qualified forecast. 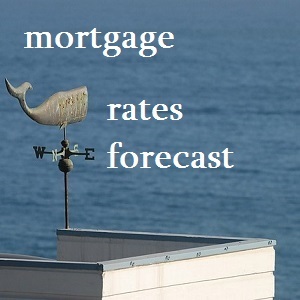 Having had a mortgage above 18 percent and under 5 percent, rates will be favorable for the near future. Joe Petrowsky a Mortgage Consultant, Right Trac Financial Group, Inc. I don't see much change in mortgage rates, hopefully we will see a quarter percent increase on the prime rate. In such a dismal economy which is hardly growing at all, IN MY OPINION I believe it's highly unlikely that the inept Federal Reserve will do anything, much less raise interest rates. That's the information I would communicate to my buyer(s) stating clearly that this is your opinion - not a fact. And, I would communicate this information in a written form (preferably an email which is a verifiable communication). By the way, it's never a good idea to advise a client to do anything. Simply give them the facts, layout the reasonably probable consequences of doing or not doing (a) certain thing(s), and have them make the decision - not you. You can bet that rates will not be lower. It is a good time to lock in the very attractive rates that are available now. They might be a 1/4 % higher but nothing staggering. I don’t anticipate enough rate movement by December 31st to be a big issue. More important than waiting for perfect mortgage rates is finding the best possible house. That process can take time. I allow their financial adviser to assist them with this decision. The FED is none committal and seems to be backing away from earlier statements. I would say lock it in! Indeed it's a great time. As much as buyers like to lock the best rates for the loan, it is not a good idea to buy any home - just because of that. Just my two cents. I tell mine that if they lock in, the mortgage rates will go down. If they float, the rates will go up. Seems like a law of nature! I advice them to talk to their lender - I wouldn't get into this one. Not being a lender, I wouldn't advise. But I do suggest they talk to a good lender and make a decision. My advice is to talk to a good mortgage broker. Personally my guess is they are more likely to be higher but not much higher. I don't think there will be much of a change. My crystal ball is currently on vacation. Mortgage rates differ by lender, product, term, type of property, type of borrower, central bank policy, the economy and so much more. It is not an easy question to answer. My guess, the good loan officer always can give a good advice when to lock the interest( but doesn't it expire in 30 days?). Rates definitely expected be higher, but not that much. What about your prediction? Where do you think the current mortgage rates will be by the end of the year?